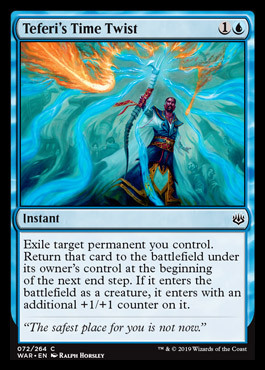 Ability Text: Exile target permanent you control. Return that card to the battlefield under it's owner's control at the beginning of the next end step. If it enters the battlefield as a creature, it enters with an additional +1/+1 counter on it.